Neanderthal DNA segments are gradually disappearing from human DNA during the process of natural selection, suggesting that Neanderthals will be “extinct a second time”, according to an article published in the journal PLOS Genetics. "Resurrection" and the decoding of Neanderthal genome, conducted by Svante Paabo and his team in 2009, showed that the Neanderthals contacted our ancestors and left about 2-4% of their genes in our DNA. According to the further studies, some of these genes helped Cro-Magnon men to adapt to the north climate, giving them a strong immune system and other useful features. 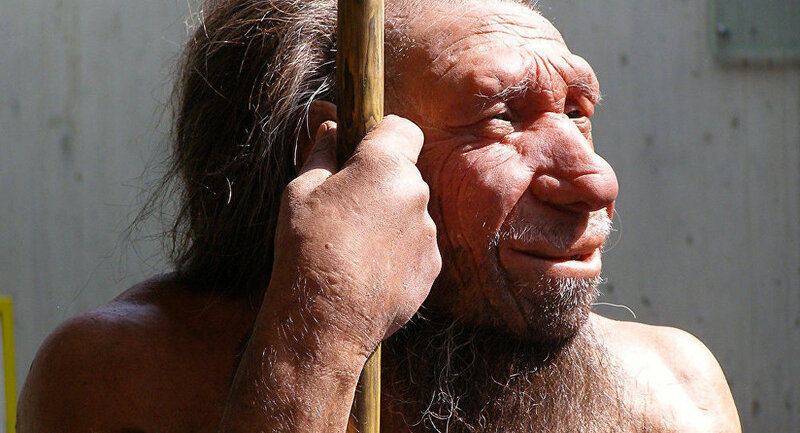 On the other hand, a mathematical simulation based on the "resurrected" DNA showed that interbreeding between humans and Neanderthals was usually unsuccessful, has forced scientists to try and understand how we have any 'cave man' DNA in us at all. One of the possible reasons for the disappearance of the Neanderthals is due to the excessively small size of their population, or almost complete genetic incompatibility between them and the Cro-Magnons. "One of the things that's really interesting here is that if Neanderthals had had a larger population size or humans had had a smaller population size, we might have ended up with a lot more Neanderthal genome in our modern genomes," Coop says. Shocking Science: Could Aboriginal Australians Carry the DNA of an Unknown Human Species? Comparing the "resurrected" Neanderthal DNA and the genomes of modern humans, scientists initially expected to see higher mortality rates and lower birth rates for people carrying Neanderthal variations in their genes. However, they found not only the disappearance of individual genes of Neanderthals but also a gradual and slow vanishing of all traces of them in human DNA. Such an "extinction" of genes means that natural selection has worked against variations of Neanderthal DNA, probably for the reason that they generally had a negative effect on the "health" of the human population. This also supports the theory of degeneracy of the Neanderthals and explains why people today have small traces of their DNA.